At Julian Turner Garden Services Ltd we offer great value for money on our range of first class Garden Maintenance services. We pride ourselves on our easy-to-deal-with staff and our close attention to detail. We provide a large selection of garden services to care for your garden all year round. Below is a list of our Garden Services in Newbury and the wider area. 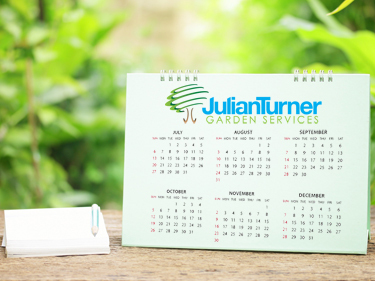 At Julian Turner Garden Services our customers are very important to us - that's why we offer great deals on plants and additional services you may need. Also, all our customers have direct contact with their gardener, so you can be as involved in the garden as you wish to be. Gardens can get out of control very easily, especially when you have just moved and are learning about the garden yourself, but our gardeners are very knowledgeable and are happy to help. To find out more, call us on 01488 683 098 or 07872 016126.